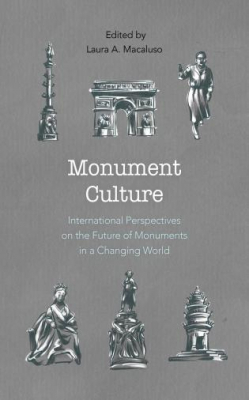 Monument Culture : International Perspectives On The Future Of Monuments In A Changing World - ubiq bookshop: the best place to buy books! Monument Culture: International Perspectives on the Future of Monuments in a Changing World brings together a collection of essays from scholars and cultural critics working on the meanings of monuments and memorials in the second decade of the twenty-first century, a time of great social and political change. The book presents a broad view of the challenges facing individuals and society in making sense of public monuments with contested meanings. From the United States to Europe to Africa to Australia and New Zealand to South America and beyond, the contributors tackle the ways in which different places approach monuments in a landscape where institutions and ideas are under direct challenge from political and social unrest. It also discusses sharply changed attitudes about the representation of history and memory in the public sphere. The goal is to acknowledge shared experiences through a wider perspective; to contribute to the work of the world-wide heritage community; and to document the history and shifting cultural attitudes towards monument culture across the world, encouraging a more informed approach to monuments and their meanings especially for the public and those outside of academia.